We’re now approaching the end of May and the advent of the busy summer holiday season. To help consumers prepare for planning their trips, this month’s eBulletin looks at your entitlements under package travel legislation versus independent travel, and includes some useful tips on mobile roaming and the European Health Insurance Card. Our consumer query of the month relates to car rental, while our success story involves a group of consumers who were unduly charged for checked baggage. If you are experiencing problems with a purchase from another European country, please contact us on 01 8797 620 or click here. 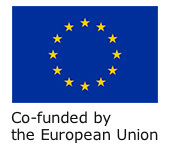 For information on your consumer rights in Europe, please see our website at www.eccireland.ie. As consumers look to plan for their summer holidays, many will be considering whether to book a package trip or make their arrangements independently. Package travel offers a number of entitlements over independent bookings. EU Directive 90/314 and the Irish Package Holidays and Travel Trade Act 1995 define a package as a combination of at least two of the following three components – transport, accommodation, other tourist services (such as guided tours) which form a significant part of the package – which have been pre-arranged by the organiser and sold at an inclusive price, provided that the service covers a period of more than 24 hours or includes overnight stay. The legislation sets out certain specific information that travel agents must supply to consumers before a booking is made. It also regulates alterations to the contract, including changes to the price of the booking and the standard of accommodation. Travel agents must ensure that consumers are repatriated in the event of the business going insolvent. More information on package travel can be found on our website. Independent bookings do not currently benefit from the same level of protection as package travel. An independent trip is one where each aspect, such as flights and accommodation, is booked separately or through a third party booking site. However, as bookings through third party sites are now estimated to account for up to 118 million trips in Europe each year, the European Parliament has adopted a legislative resolution to broaden the scope of the Directive. This is being considered by the EU Council with a view to adopting a new Directive in the near future. Consumers booking through third party sites should ensure to familiarise themselves with the terms and conditions of both the booking site and the service provider before entering into a contract. It is also a good idea to take out travel insurance to cover unexpected costs or emergencies – consumers should ensure they read the policy document carefully to see what is and isn’t covered. The European Health Insurance Card allows EU travellers to seek emergency medical assistance in another Member State, Iceland, Liechtenstein, Norway, and Switzerland. The card is provided free of charge by the HSE and can be applied for through its website. Consumers should beware any website offering to process an EHIC application for a fee. Such websites are not official channels of the HSE. If seeking medical assistance abroad, consumers using the EHIC should take care to ensure that they avail of State healthcare services, as private medical services are not covered by the card. Operators must advise consumers when their data roaming charge reaches 50 EUR, and the consumer must explicitly indicate that they wish to continue. Last month, the European Parliament voted to abolish roaming charges across the EU as of December 2015. This move will be discussed further after the new Parliament is elected, with final agreement on the legislation expected by December 2014. I booked a car online for my holiday. Upon collecting the car at the airport in Spain, I was given a number of documents to sign, including the rental agreement and sign out form. However, when I returned home, an additional 68 EUR had been debited from my bank account. I contacted the trader and later realised that one of the forms I’d signed on collecting the car was for an extra insurance policy. I was not advised that this policy was part of the documentation and would not have signed it had I known, as I had already taken out sufficient insurance before going away. What are my rights in this situation and can I obtain a refund from the car rental company? For many consumers, car rental is a popular and convenient way of getting around while on holiday. However, it can also be a confusing area if something goes wrong. Supplementary charges are a particularly common area of complaint, as some consumers may be charged for extras such as car seats or an additional driver. Others may return a vehicle without incident but later find themselves billed for damages. For this reason, it is advisable that consumers carefully read the terms and conditions before signing a contract to hire a car. If you sign a document indicating that you have agreed to the terms of a contract, it is difficult to challenge this later. Although it is an unfair commercial practice to conceal material information (such as the final price) before the conclusion of a contract, it may be difficult to seek a refund for the additional insurance if you authorised the disputed amount by signing the documentation presented to you before picking up the vehicle. You may wish to consider writing to the trader, outlining your complaint and suggesting that the company make the contents of such documentation clearer for consumers. However, in the absence of any evidence to support your claim, the trader may insist on billing you for the amount stipulated in the rental agreement. An Irish consumer purchased three return tickets to Istanbul via Amsterdam with a Dutch airline. According to the booking confirmation, all three passengers could check in one bag for each leg of their journey at no extra cost. However, when returning from Istanbul to Amsterdam, the consumers were asked to pay 60 EUR in order to check in their bags. The consumers were anxious to board the plane and so they paid this sum, but later requested reimbursement from the airline. The first response they received from the airline was unsatisfactory and so they contacted ECC Ireland for assistance. ECC Ireland shared the case with ECC Netherlands, who approached the airline on the consumers’ behalf. Following this contact, the airline agreed to reimburse the amount unduly charged.